Do I join DIVA by myself or do I have to find a team to play on? DIVA has implemented a Draft Process so everyone joins DIVA as an individual. Every new member must attend at least one New Member Clinic to be watched by the Evaluation Committee. After the Clinics new members are placed into one of DIVA’s seven divisions (Recreational, Intermediate, Competitive, Skilled, Advanced, Power and Elite). Once we see how many members are in each division we will set the number of teams for that division. Captains are chosen from returning members in each division and they will select the teams. This is done in a random draft prior to the start of league play. If I am not rated yet can I still register for the season? You’re still eligible to register for the season prior to getting evaluated. You’ll need to choose the division for Unrated Players. Once you attend a new member clinic your registration will automatically convert to the appropriate division the night you receive your rating (as long as there are still spots open). Registering early does not guarantee you a spot in the upcoming season though. We highly recommend you attend one of the early New Member Clinics to receive your rating. Joining DIVA is a two step process -evaluation and registration. If you receive your rating after your division is full, you will not be placed on a team but your money will be refunded. All games are played on Friday nights at the Advantage Sports Center. Play begins at 7:00 and continues until 12:15 AM. No…you are not there the whole time. Because the organization has gotten so large we traditionally run two waves of play each night. We have a 11-week season in the Spring and Fall and typically two 6-week sessions in the Summer. Depending on availability of court space, DIVA sometimes has a 12 week season. We self-referee our matches. Each team will be assigned one match every night to ref. The reffing team must provide two referees, a scorekeeper, and two line judges. If you would like to be DIVA certified to referee or keep score you must attend a Certification Clinic. Clinics will be offered in at beginning of each season. Watch the website or ask your Captain for more information. 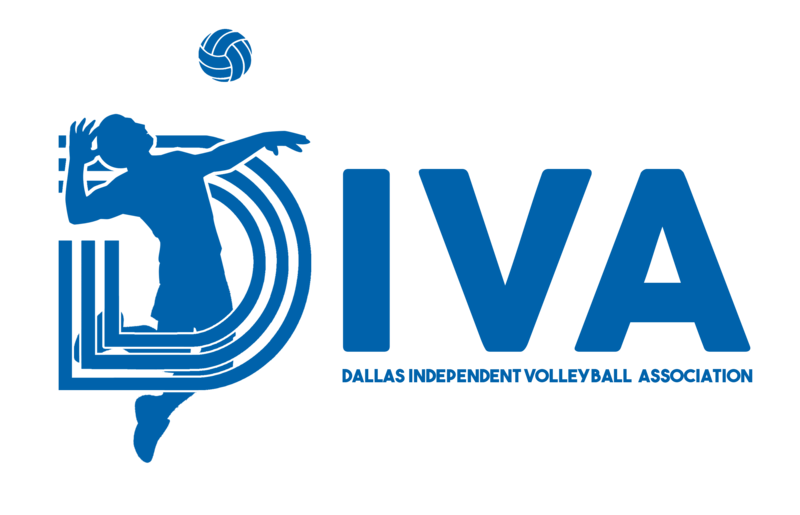 DIVA offers weekly Divisional practices for you to practice and further develop your volleyball skills outside of Friday night play. Each Division has a two-hour scheduled practice/open play every week Tuesday – Thursday (Times are adjusted at the beginning of the season to accommodate larger divisions). These practices are offered at City of Dallas Recreation Centers or other open facilities and is open to all rostered team members of that division. Please check website for location and times by division. Non rostered players can purchase practice passes by going to the STORE section. What do I get for my membership fee? You receive a pre-season member open play, 11 weeks of play, 11 weeks of practice, 6 weeks of skills clinics, a t-shirt, a season-ending tournament with professional referees and awards, a season-ending banquet and a wide variety of social activities. Please email the Vice President of Membership to assist you with any questions that you might have. Once you have been placed in a division you may want to contact your Division Representative. Their contact information can be found on the DIVA Board Members page. Please complete the NEW MEMBER INTEREST form to let us know a little more about you. Once you have completed the form, the Vice President of Membership will contact you.